Today (just a week after the Autumnal Equinox) we took a 20-mile scenic drive east of town that winds its way between Camelback Mountain and Chinese Peak (colloquially known as Chinks Peak, including Google Maps). Colors in the trees were incredible with plenty of red from the Maples and orange from Hawthorns and other smaller deciduous trees, scatter among the cedars and pines. What surprised me the most was seeing mountaintops already blanketed with snow! Just yesterday the nearby Scout Mountain (14 miles away), had its peak (about 8,700ft/2652m) covered in the white stuff! Here are a few shots from our afternoon outing. 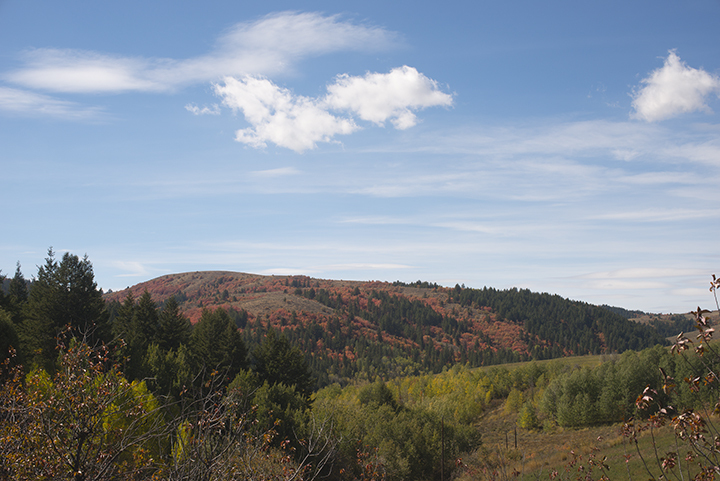 As a technical side note, I was shooting with my Nikon D800 with a 51-year old Nikkor 50mm/1.4 lens. It works great and has excellent qualities! 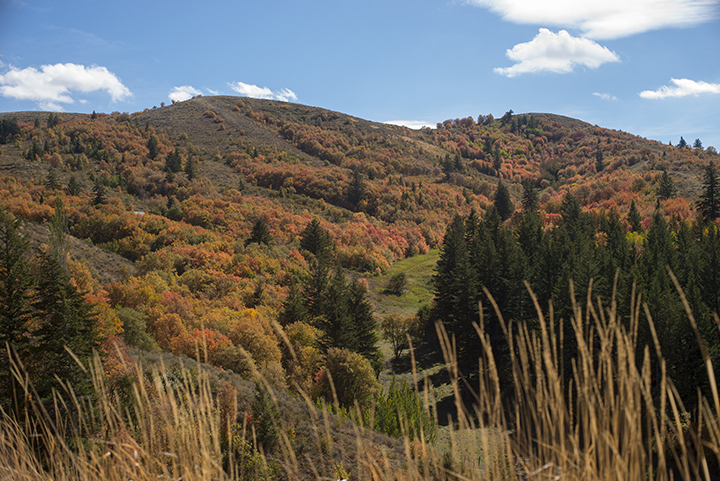 Color deciduous trees mixed with pines in the Pocatello Range. © 2013 Terry Ownby. Midway between Camelback Mountain and Inkom. © 2013 Terry Ownby. 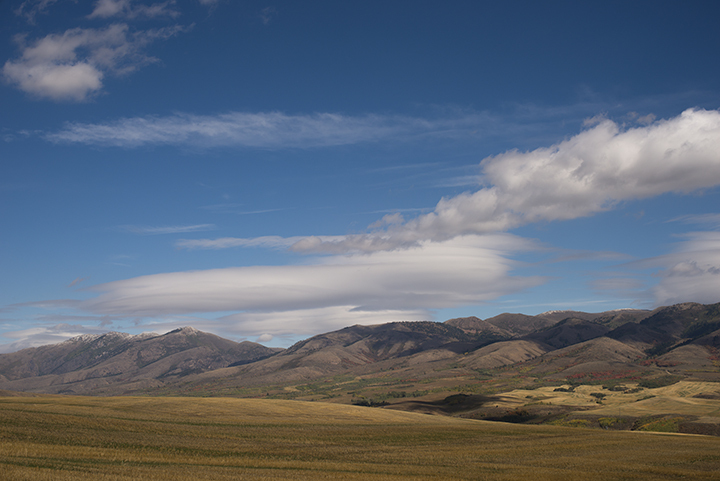 Looking east across wheat fields towards the Portneuf Range with snow-dusted peaks. © 2013 Terry Ownby.